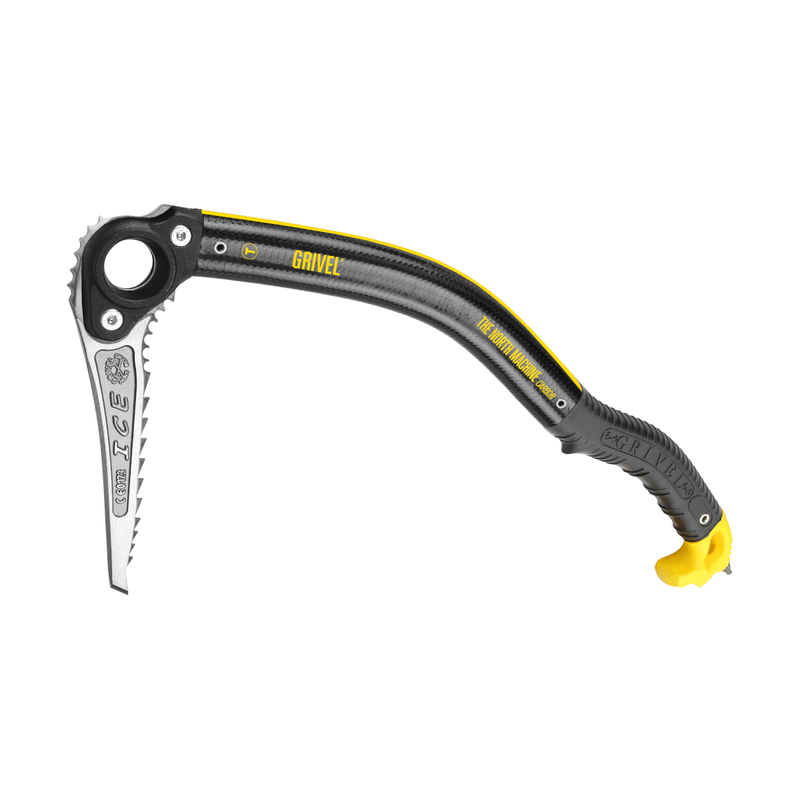 The Grivel North Machine Carbon is a super-strong all-round ice axe, made from lightweight materials for a long-lasting, durable tool. What makes the Grivel North Machine Carbon so strong? Well, half of the reason is in its name, and the other is in its pick. The new G-bone shaft is constructed from super-light, super-strong carbon, which stays warm in cold conditions and is ergonomically shaped along the entire length for maximum ease-of-use. The chromoly steel head is also lighter, stronger, and more durable, ideal for use in ice axe blades. The North Machine Carbon can be used on both ice and rock and is sold with the Ice Blade, but it's also compatible with the Mix Blade, making it the ultimate tool for ambitious alpinists. Chromoly is a lighter, stronger steel, perfect for use in ice axe blades due to its hardwearing, long-lasting durability and its responsive and good flex whilst still being able to maintain its form.